Progress continually poses challenges that education and training have to accept. Today, in the field of music and violin making, the crucial point is to learn how to combine the tradition made of skills, experience and ancient secrets with the continual innovations required by and born from an ever-changing society and market – whether local, national, or international. 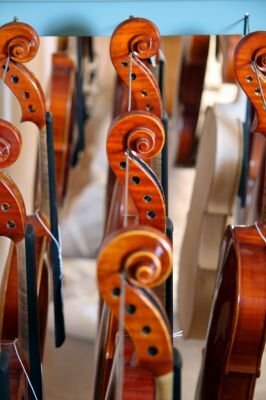 Within our school, students explore the fascinating world of violin making; they are able to study sound and technique, gain experience, and develop their craft in individual ways depending on the specific capabilities of each student. Practical activity and projects are always supported by a solid cultural background, thus reinforcing the students’ understanding that only a profound knowledge of the past and a structured technique will enable them to explore modern possibilities and to undertake innovative projects – the fruit of their own intuition and creativity. The ultimate goal of our didactic strategy is to stimulate students’ interest in intense research as a practice supported by study and exchange of ideas. We belong to Istituto di Istruzione Superiore "Antonio Stradivari"